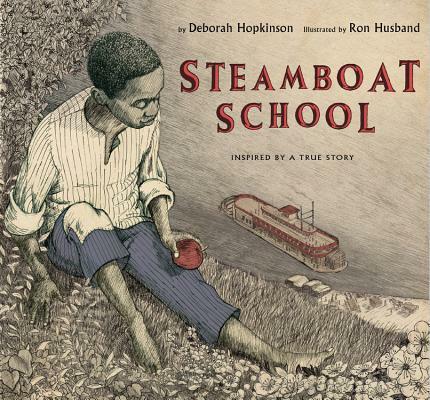 Deborah Hopkinson is the author of more than forty-five books for young readers including picture books, short fiction, and nonfiction. She has won the SCBWI Golden Kite Award for picture book text twice, and in 2013 received both a YALSA Excellence in Nonfiction honor and a Robert F. Sibert honor for Titanic: Voices from the Disaster. Visit Deborah online at deborahhopkinson.com. Ron Husband, the first African American animator at Walt Disney Studios, worked on films such as Beauty and the Beast, Aladdin, and The Hunchback of Notre Dame during his thirty-eight years at the company. His illustrations have also been featured in a number of children's publications. Ron lives in San Dimas, California, with his wife. They have three children and three beautiful granddaughters. Learn more about Ron's work online at ronhusband.blogspot.com.